The man who shot at Adam Osmayev, ex-commander of the Dzhohar Dudaev peacekeeping battalion, and his wife, ex-soldier of the “Kyiv” Regiment Amina Okuyeva, is reported to be a gangster from St. Petersburg, known as Artur Denisultanov-Kurmakaev, nicknamed "Dingo," who earlier murdered an ex-bodyguard of Chechen leader Ramzan Kadyrov, Espreso.TV reported. 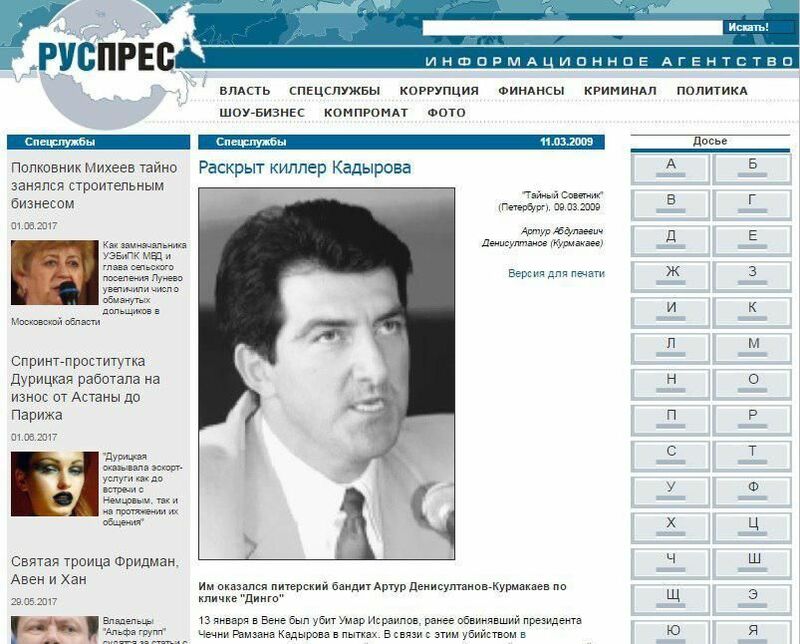 At the same time, Russian media outlet Ruspres says Kadyrov's former security guard, Umar Israilov, who had accused his chief of torture, was killed in 2009 in Vienna, where he was seeking political asylum. It was reported that the murderer was a gangster from St. Petersburg Artur Denisultanov-Kurmakaev, nicknamed "Dingo," Espreso.TV wrote. In late 2006, Israilov filed a lawsuit against Russia with the European Court of Human Rights, accusing Kadyrov of torture and kidnapping. Israilov's lawyer Nadia Lorentz in her statement to the police claimed that Denisultanov-Kurmakaev had insisted that her client withdraw his suit. Read alsoBefore Voronenkov’s murder FSB abducted, interrogated his driver in Belarus - widowDuring the interrogation following the murder, Kurmakaev told about the lists of Kadyrov's enemies, with some 300 potential assassination targets. He also explained that 50 of these 300 lived in Austria and were under threat. According to Denisultanov-Kurmakaev, he allegedly acted at the will of Kadyrov. He said he had been supposed to persuade Israilov to return to Chechnya. After the man refused the offer, the hitman allegedly received an order to kill “the apostate,” the publication wrote. 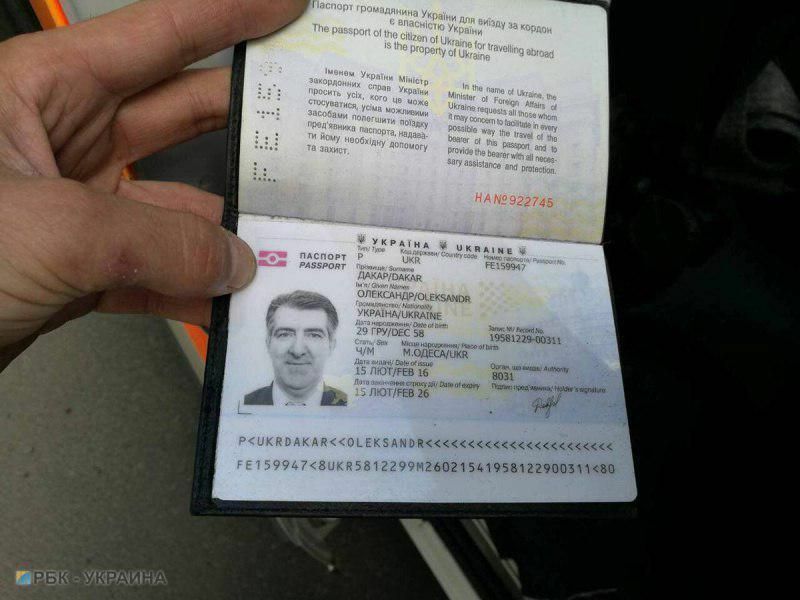 As UNIAN reported earlier, the victim of a shoot-out that occurred in Kyiv’s Podil district at 16:49 on Thursday, June 1, turned out to be a Russian citizen Adam Osmayev, who had earlier been accused in Russia of plotting an assassination attempt against President Vladimir Putin. Osmayev’s wife managed to wound the attacker, firing several rounds at him immediately after the man shot her husband. The pair perceived the attacker as a French journalist who had invited them to record an interview. The Interior Ministry said there was high possibility the attempt was plotted by Russian security forces.